North Western Melbourne Primary Health Network (NWMPHN) will be commissioning new psychosocial support services in 2019 to assist people with severe mental illness. The new psychosocial support services, to be funded by the Australian Government utilising the National Psychosocial Support (NPS) Measure and Continuity of Support (CoS) funding in 2019, are intended to address the needs of people who are not eligible for the NDIS and who may ‘fall through the gaps’. The NPS measure will provide psychosocial support services to assist people with severe mental illness resulting in reduced psychosocial functional capacity who are not eligible for assistance through the NDIS. There are no age restrictions on this initiative. NPS-funded psychosocial support services are intended to be implemented by early 2019. 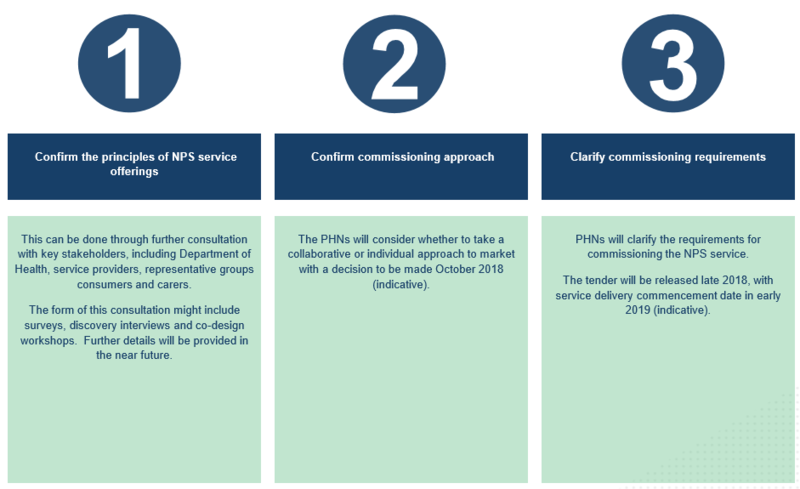 The goal of the three Melbourne PHNs, working collaboratively, is to develop consistent approaches for the co-design and commissioning activities for psychosocial support services. NWMPHN, SEMPHN and EMPHN held a major stakeholder forum, Getting it right: National Psychosocial Support Measure Co-design Forum, on 4 September 2018 at Melbourne Museum. The forum was attended by 80 PHN stakeholders from the mental health sector, Local Hospital Networks, government and community health, together with mental health consumes and carers. Continuity of Support, commencing 1 July 2019, provides funding to support PIR, D2DL and PHaMs participants who are ineligible for the NDIS. Consumers will receive CoS funded services when PIR, D2DL and PHaMs programs cease in mid-2019. CoS-funded services will be designed to align closely with NPS-funded services. The PHNs do not yet have guidelines for the development and delivery of CoS-funded services, but it is anticipated that these services will be a combination of psychosocial supports and service coordination.